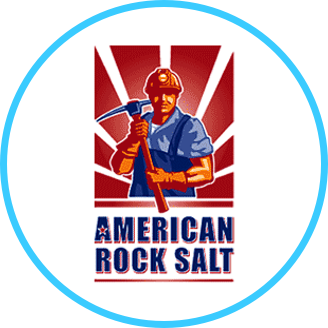 Quad action melting power leverages advanced ice melting characteristics of Sodium Chloride, Calcium Chloride, Potassium Chloride and Magnesium Chloride. Works capably in melting ice and snow to negative 12 degrees Fahrenheit. Use common sense when applying. 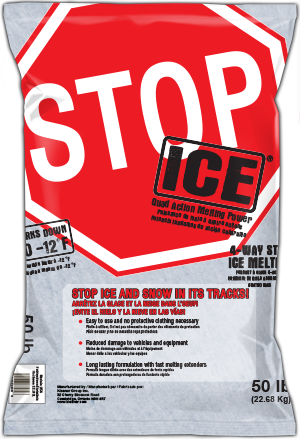 Protective clothing is not required with Stop Ice Melt with Quad Action Melting Power. Formulated to reduce corrosive damage to automobiles and other equipment. Melting extenders result in very durable and long-lasting melting power. Less harmful to plants, vegetation, wood and concrete than many competing products.